In conjunction with the single, Walker has established The Be A Craig Fund as a tribute to the man named Craig whose kindness and generosity helped Walker and his family during one of their toughest times. The Fund aims to empower and encourage others to seek out opportunities to help those who need it and reflect the same kindness Walker received. 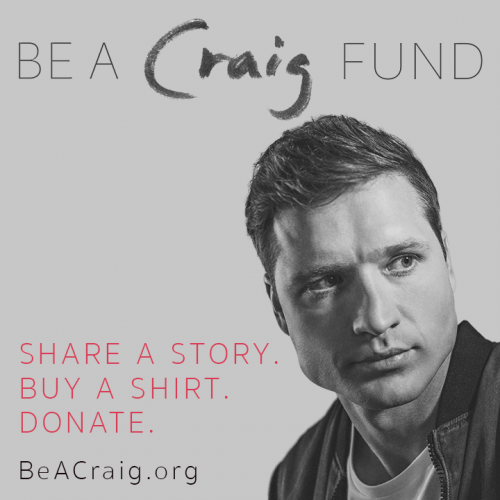 Fans will be able to submit a story of someone they would like to “be a Craig” for, buy a BeACraig t-shirt with all proceeds going to the fund, or can make a simple donation. Several of the stories submitted will be chosen along the way and profits from fundraising will be used to aide those special people just looking for a little help.